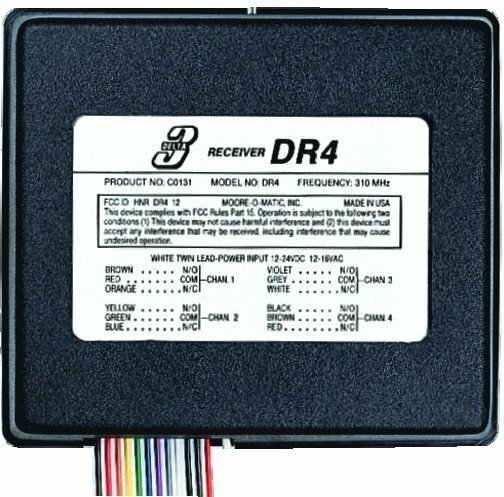 The Delta 3 DR-4 receiver is a four-channel radio control which can be activated by any of the Delta 3 remote transmitters. It is used with automatic garage door and gate operators. It can activate four door/gate devices or a Open, Close, Stop commercial operator. Compatible with Delta 3 digital remote transmitters DT, DTLB, DT-2, DT-4D.